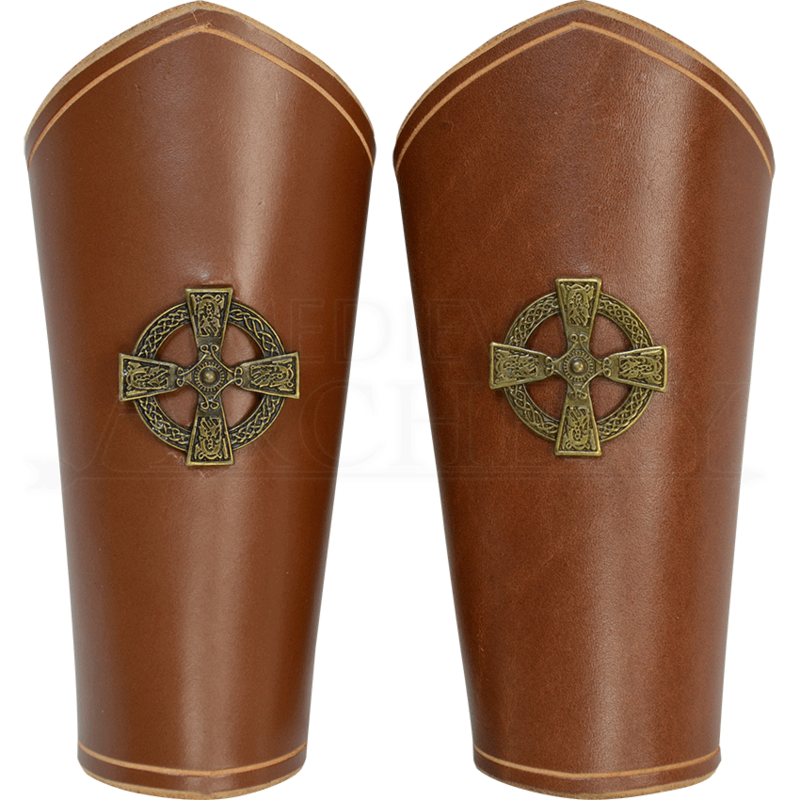 Bringing historical beauty to a functional design, the Childrens Celtic Arm Bracers are perfect for children who enjoy LARPing, historically themed fairs, or simply want an extraordinary and authentic Halloween costume. 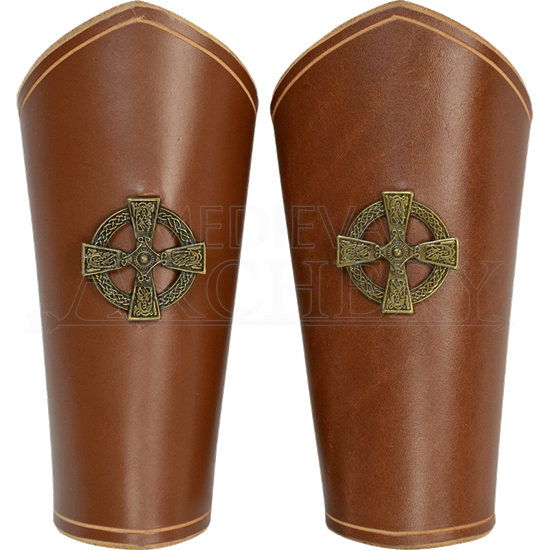 Adorning the face of each bracer is a metal cross inscribed onto a circle, which feature exquisite Celtic knot patterns. Allowing for superb customization to adapt to your childs desired look, these bracers are available in a variety of colors. To ensure an excellent fit they tighten through the use of leather laces. These bracers are hand crafted from 8/9 ounce leather with metal hardware. Shield the forearms of your child as they enjoy the wondrous historical style of the Childrens Celtic Arm Bracers.